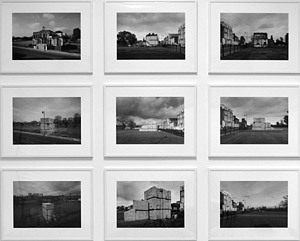 These large framed prints were first shown at Tate Britain in 2007 of Rachel Whiteread's "House" from 1993 and 1994. 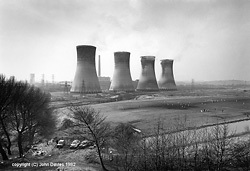 John Davies talk at the Lit & Phil Library on Wed. 21 October 2-4pm. Exploring the T Dan Smith legacy on Tyneside. 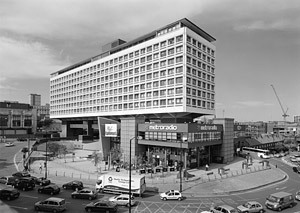 Focusing on Newcastle's 1960's vision of structural and futuristic planning. 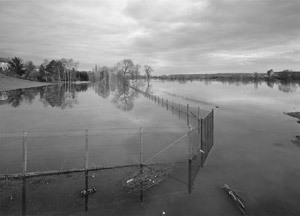 Work made in 2009 - 27 B&W prints. With Mouth of the Tyne by Amber Films. Group exhibition of monuments in the Provence-Alpes-Côte region with John Davies, Bernard Plossu, Massimo Vitali and Jordi Barnardo. Commissioned by L'Agence Régionale du Patrimoine de Provence-Alpes-Côte d'Azur in 2005. Group exhibition with two images of the Bluecoat building interior made in 2006 and 2008. 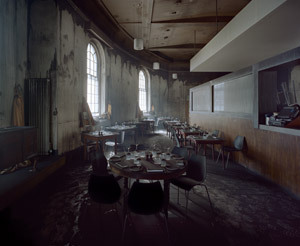 The Black Room shows fire damage in the new restaurant area made on 14 May 2008.